Kalam Karacina Kadapata, p. 1961. From the University of Chicago Library. కాలం కఱచిన కడపట Kalam Kracina Kadapata, by లత Lata. Tenneti Hemalata, commonly known as Lata, was an influential Telugu author of novels, radio plays, stage dramas, and essays. Fantastic snake letterforms! This cover design has been slightly cropped by the book binder, but I’m still happy! What a cool find! 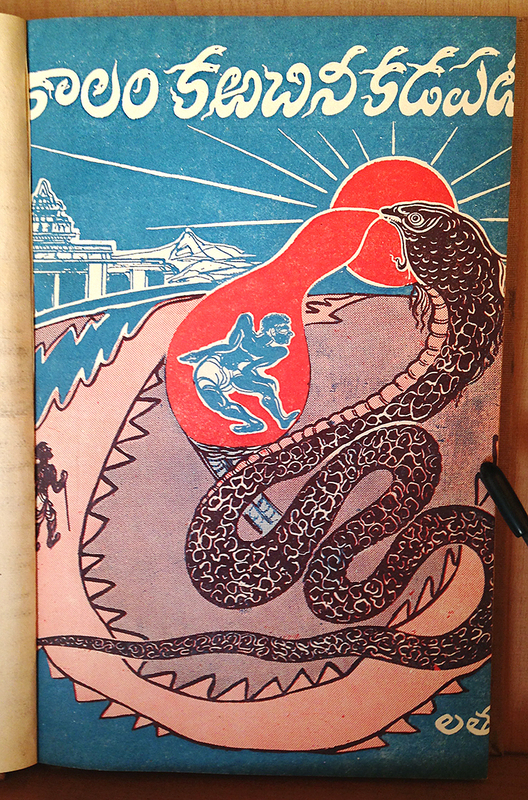 I hope I can add more to the collection… here are some Malayalam and Meetei Mayek snake letters.